Originally, all MOOCs were offered as free courses. 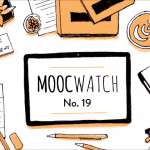 While content varied greatly from course to course, MOOC providers essentially offered a single type of product: university courses packaged for online audiences and offered free of charge. 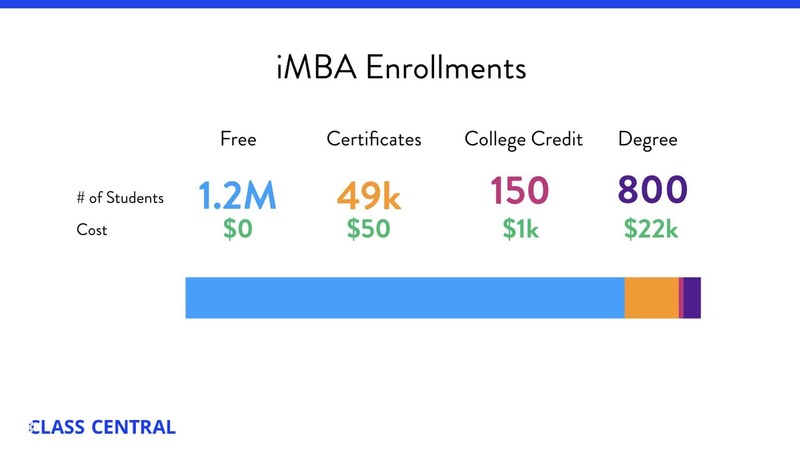 The big MOOC providers now have developed products and services that range in price from free (or partially free) to millions of dollars. Courses produced by brand-name institutions (now including some corporate entities in addition to universities) remain at the heart of what the MOOC platforms offer. Additional features (e.g. credentials, additional services) are layered on top of the courses. Each tier of pricing adds some value on the tiers below. Essentially, the same product (the one that anyone can register for, free of charge) is being monetized at different pricing levels, with the free product acting as a marketing channel that feeds customers into other higher priced products. Class Central has identified six different tiers that MOOC providers monetize on. To be clear not all MOOC providers monetize their courses at all six tiers. Even those platforms that do have offerings that fit our model don’t necessarily follow it for all of their courses. Still, we do think it is helpful to talk in general about a six-tiered monetization model. To illustrate, we will look at the example of the iMBA, produced by University of Illinois at Urbana–Champaign and offered on the Coursera platform. The iMBA is a fully accredited MBA degree, packaged as a set of six Coursera Specializations. The iMBA launched in 2015, and the first batch of students graduated in December 2017. To earn the degree, students need be admitted to the program and complete six Specializations (out of the seven available). A non-degree student can sign up for an iMBA Specialization at a subscription price of $49/month/specialization. The iMBA team shared some numbers with us in September 2017. We will use these numbers throughout our example as we illustrate the monetization model. All of the courses that make up the iMBA are free to audit. This is the bottom-most, free tier. More than 1.2 million people have visited these iMBA courses, with over 330,000 active learners. The third pricing tier is at the level of the micro-credential, which is a certificate program comprised of multiple courses. In the case of the iMBA, students who earn certificates for all the courses in any of the seven Specializations can earn the Specialization micro-credential. At a price of $49 per course and three to six courses per Specialization, the Specializations in the iMBA cost between $150 and $300. Micro-credentials like Coursera’s Specialization have become common across all the major MOOC providers. 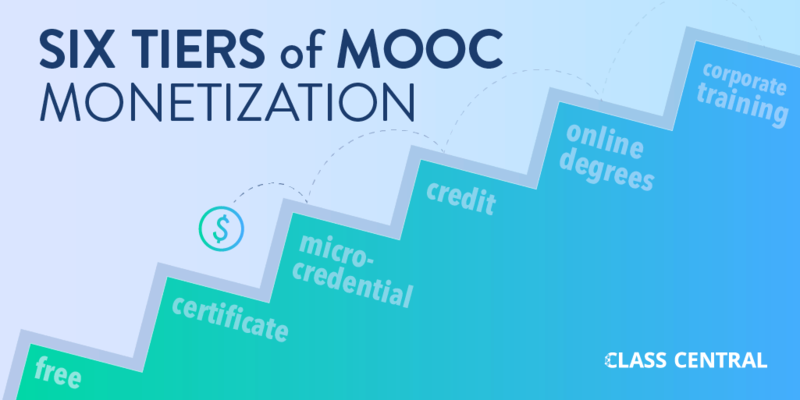 At the end of 2017, there are over 500+ MOOC-based micro-credentials with the price varying from a few hundred to a few thousand dollars. 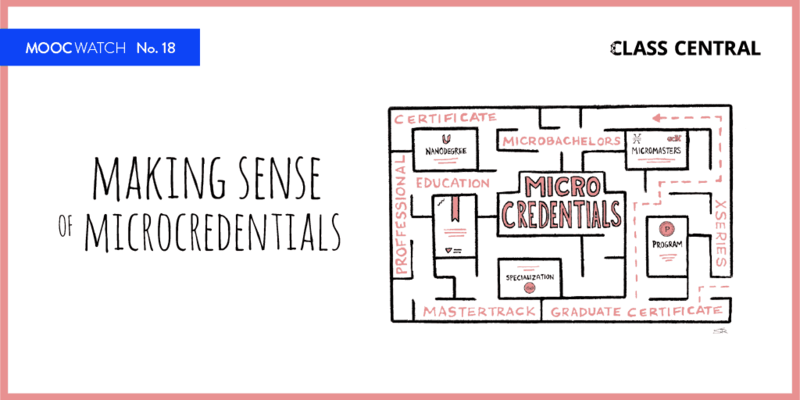 For example, edX offers a micro-credential called the MicroMasters. Students are similarly able to purchase a single course certificate or register for the entire series. The median price for edX’s MicroMasters credential is $946. At the fourth pricing tier, students are able to earn not just certificates and micro-credentials but actual university credit that can be applied toward the traditional degree system. This can cost anywhere between a few hundred and a few thousand dollars. In the case of the iMBA, the cost of each credit is $250. At any given time there are around 150 non-degree students who are earning credits from the iMBA courses. Given these numbers, it is easy to see how “free” courses can translate into serious profit-making potential. At the fifth pricing tier is the online degree. Price ranges from a few thousand to tens of thousands of dollars. At this level, universities have a bigger involvement and offer additional services such as mentorship, office hours, exam proctoring and others, all meant to provide an experience that more closely mirrors the on-campus experience. The iMBA costs $22k. Over 800 students are enrolled, which means a potential revenue of over $17 million. Given these numbers, it is easy to see how “free” courses can translate into serious profit-making potential. This six-tiered monetization model is an emergent phenomenon, and users have not always had an easy time understanding the differences among the various options for accessing MOOC content. MOOC users have, in fact, often complained about the many changes in price and delivery to a product they had come to love in its original (free) form. However, with this model, the MOOC providers may have reached a sustainable revenue model that allows them (and their university partners) to efficiently monetize content at different price points. From the original, free, tier-one product, which had no revenue model at all, MOOC providers have worked their way up to pricing tiers with millions in potential revenue. In 2018 and beyond, we expect to see the MOOC providers place even more emphasis on the upper two tiers, focusing on online degree programs and corporate clients. Very nice analysis of the MOOC business and useful model of the moneytisation levels. 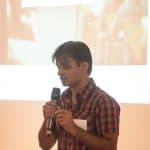 Very few people in the world have the skills to reveal such a model, and the ones that have most probably work for one the main MOOC platforms or major universities, and as such do not share their finding for competitive reasons. The platform providers and universities should realise that in this expansion phase, with exponential growth of new course terminologies and degree types, it becomes more and more difficult, for both students and their potential employers, to see the trees through the woods, and judge the quality of of all these qualifications thrown to them. This might be one of the reasons why the MOOC growth rate is not increasing anymore (growth rate of #MOOCstudent 2017 is slightly less than 2016). After this degree type expansion phase, a contraction phase should emerge towards a simpler model, a model easy to comprehend for individual students, employers, and universities that want to position their product in the market. As simple like a course, a certified course, and a degree. Each offer could fit in each of these 3 categories (or even 2 if you combine courses and certified courses), providers can add another label to it for marketing purposes. Credits could be attached to courses, micromasters and specialisations are just longer/bigger courses. Corporate training aims at a different B2B customer segment with its own business model and needs. 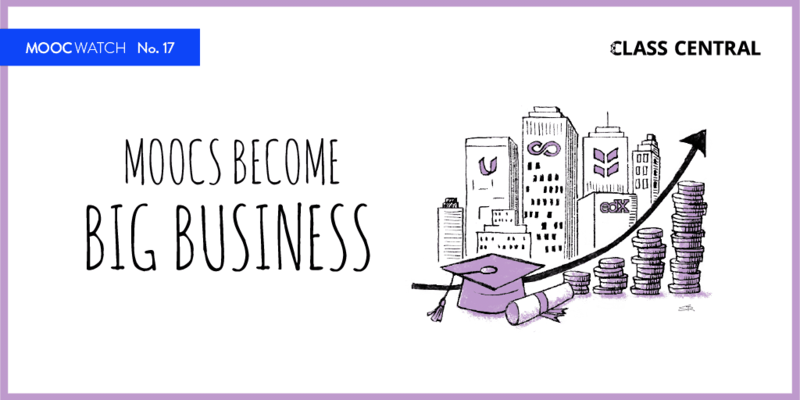 The B2C courses/degrees can be included as components of the bigger corporate goals. A lot of players are competing. The market is not yet mature enough to raise the perception of these qualifications up to the level of their classroom counterparts. Also this should be a continuous attention point for the providers, who should aim to raise the quality (and perception) of their MOOCs to at least the same level, if not better. Only then can they remove the i-prefixes and X-postfixes from their program titles.